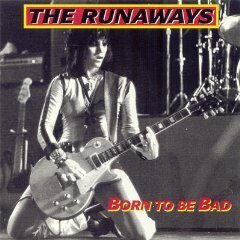 The Runaways-Born to be Bad. . Wallpaper and background images in the the runaways club tagged: the runaways joan jett born to be bad. This the runaways photo might contain gitaris, pemain gitar, anime, komik, manga, and kartun.